Posted on September 15, 2016 by Sean K.
Wow, it’s been a hot, dry summer at the Museum of American Bird Art, yet, life keeps on living in our streams, pine forests, and meadows. 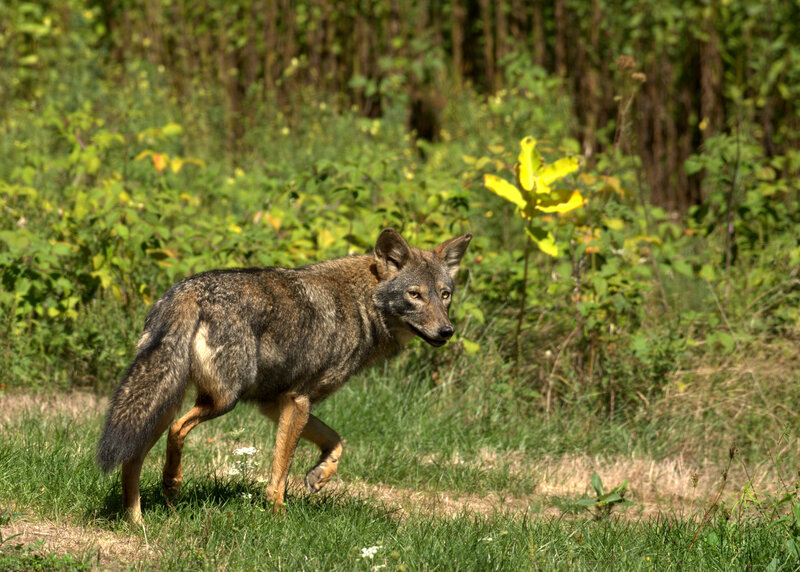 Animals explore our meadow, monarch caterpillars chomp on milkweed growing in our fields, and fishers saunter through our pine forest. Here are a few highlights from the past couple of months. Every morning, hundreds of bumblebees and native bees buzz through our recently planted native plant meadow collecting pollen and nectar from partridge pea, great blue lobelia, sunflowers, and much more. Last year, no bees buzzed or goldfinches ate seeds because the meadow was a mowed lawn. In April 2016, we removed all the lawn in front of our bird and photography blind and planted approximately 26,000 native plant seeds and 72 native plant seedlings. 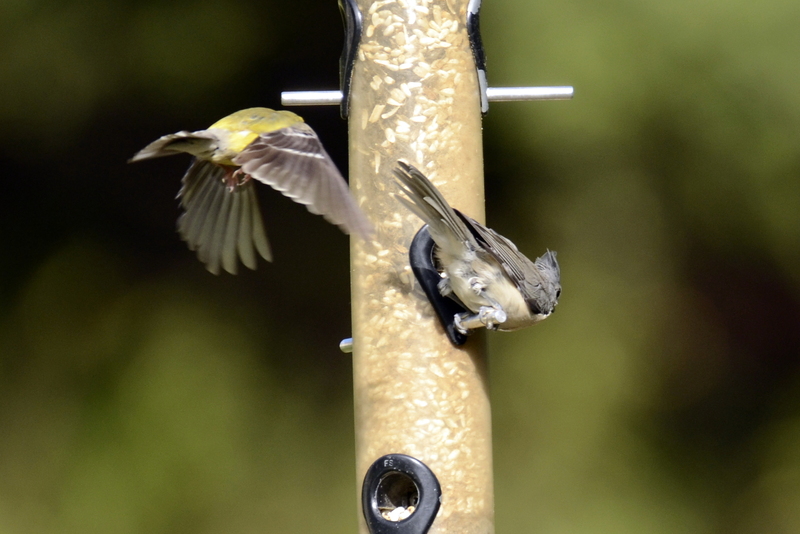 The new meadow should also greatly improve the photography opportunities at our blind because of increased cover for birds visiting the feeders. For example, this past week, we had over 50 migratory sparrows, including Chipping Sparrows and Song Sparrows, feeding on the abundant seeds in the newly planted meadow. Check out a few pictures of our meadow in the making, with help from our homeschool classes too! If you walked through our meadow on a daily basis, it would seem that the monarch population was hurting in Canton because I only saw two monarch butterflies this entire summer. However, we’ve had lots of sneaky monarch butterflies because we’ve had lots of caterpillars chowing down on the milkweed in the sanctuary. Check out these pictures. The Spicebush Swallowtail butterfly is a fascinating creature that belongs to an extremely diverse group of butterflies, including the Eastern Tiger Swallowtail and Black Swallowtail you may see flying around or munching on the parsley in your garden (black swallowtail caterpillar). 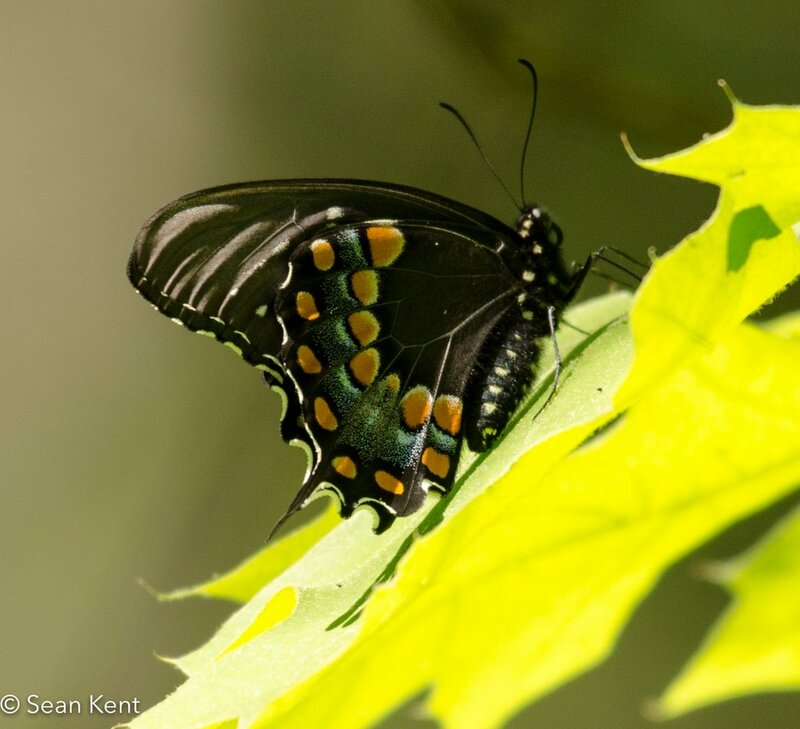 As an adult, the spicebush swallowtail will drink nectar from many plant species. 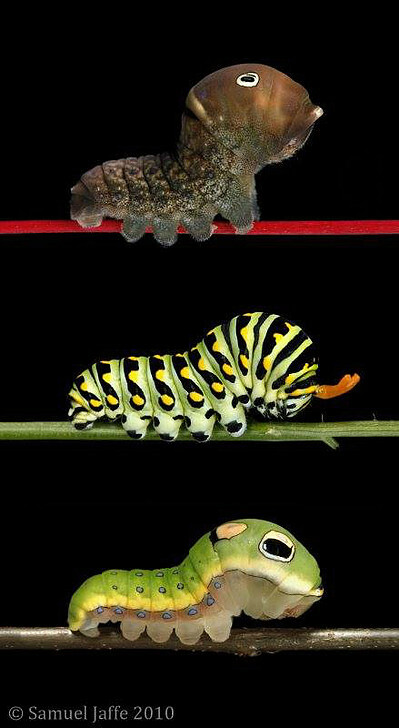 Caterpillars eat leaves from plants in the Laural family (Lauraceae). The two species in Massachusetts are it’s namesake Spicebush (Lindera benzoin), which typically grows in wet habitats, and Sassafras (Sassafras albidum). 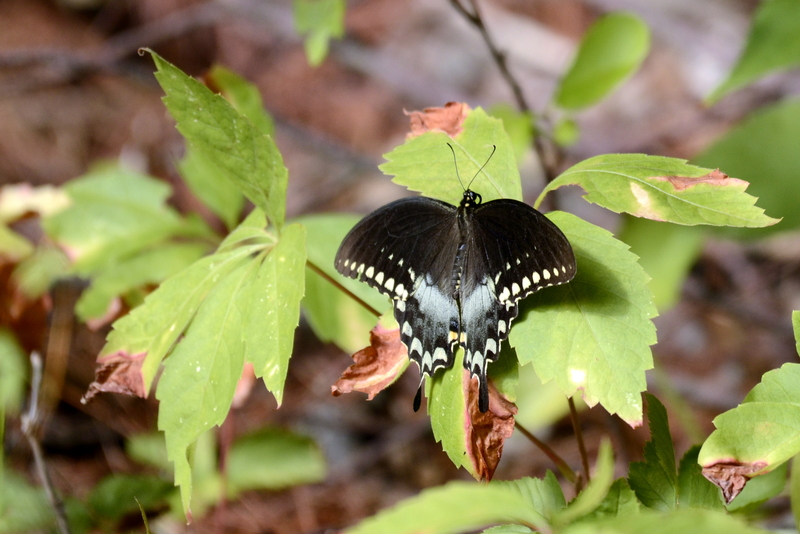 This spring and summer we were extremely fortunate to have many Spicebush Swallowtails gliding through the dappled light of our pine forests. During our summer camp, many kids collected and cared for spicebush caterpillars and watched their development from egg to butterfly. Spicebush caterpillars have amazing adaptations to scare or deter predators. They secrete chemicals from their horns (osmeteria) that have been reported to deter ants (Eisner and Meinwald 1965). 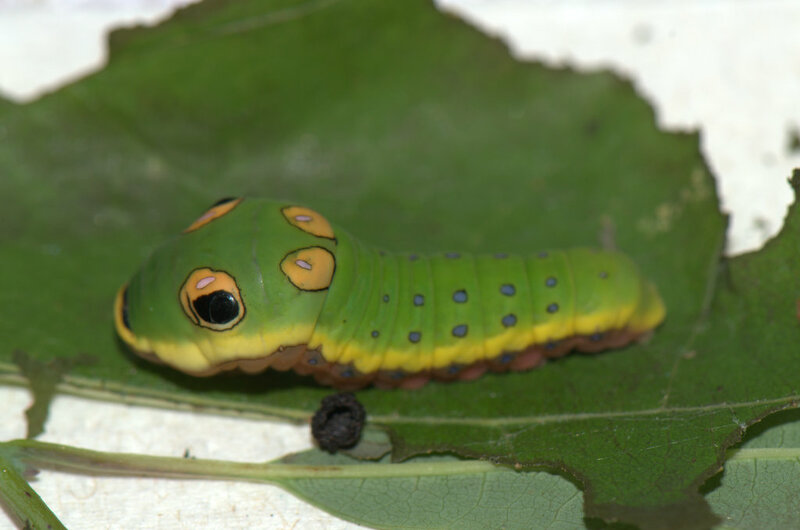 Spicebush caterpillars also mimic bird droppings as early instar caterpillars and mimic snakes and tree frogs during their late instars to deter bird predation. Enjoy a few photos from this past summer. To learn more about this amazing species, you can find a species description from Mass Audubon and a fantastic indepth article by the University of Florida’s entomology department. This entry was posted in Natural History, News, Pollinators, Wildlife Sanctuary and tagged butterfly, caterpillar, coyote, leafcutter bee, meadow, monarch, peck's skipper, sedum, spicebush swallowtail on September 15, 2016 by Sean K.. Enjoyed all the photos of natural happenings at the sanctuary last summer. Very informative! Sean ! Wow and Thanks! Your photos are fabulous and there certainly has been a lot going on since I visited your during “camp days” a few months ago. THANK YOU!